Attaching a trademark to your photography doesn't necessarily protect your work. It does, though, inform others that you took the photograph and that you can be rightfully called the photograph's source. According to the book "Licensing Photography," trademark laws came into existence not to protect manufacturers' or artists' rights, but, rather, to offer a form of consumer protection. Trademarks inform consumers that what they're purchasing actually comes from where they think their purchase comes from. As a photographer, you can make a trademark for your photography either in a formal or informal way. Know your intent. If you want simply to keep others from downloading and using your digital photography without your permission, you don't have to register with the United States Patent and Trademark Office (USPTO). This is especially relevant for those who sell digital stock photography online. By placing a do-it-yourself trademark, or watermark, on your photos, you make any unauthorized copying or distribution undesirable. Understand the law. The USPTO regulates trademark registration in harmony with federal laws. Know that applying for a trademark does not protect a photograph itself, but rather officially recognizes that a particular saying or logo identifies you as the source of a particular photo. Create a logo or phrase. Choose something that best represents what you photograph. If you're a nature photographer, for example, create a logo that highlights an aspect of nature, such as a plant or animal. Whether it's a logo or phrase, anyone viewing it should immediately recognize your specialty or philosophy. Utilize computer software. Instead of hiring a graphic designer, a number of software programs can help you design a simple trademark logo. Try programs such as Adobe Photoshop, Microsoft Publisher or even Microsoft Paint. Follow the program's instructions. The basic idea, though, is to alter a your digital photos so that they carry a distinguishing mark, similar to how a cattle brand distinguishes cattle. Apply. 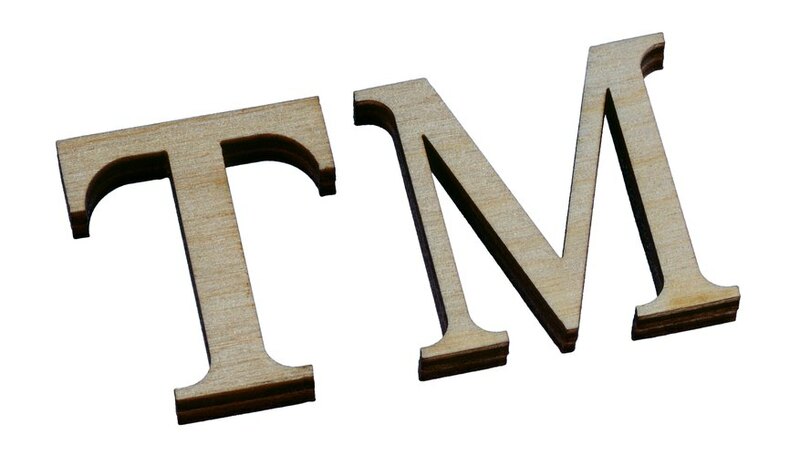 If you want an official trademark, which includes the legal right to put the renowned "TM" or "R-with a circle around-it" symbol next to your marked logo or phrase, you must apply for usage with the USPTO (uspto.gov/trademarks). You can apply online and you'll have to pay a fee. You must choose between "principal" or "supplemental" status. A principal trademark immediately identifies a company or author (e.g. "Just Do It" and Nike); a secondary trademark has the potential to do so.